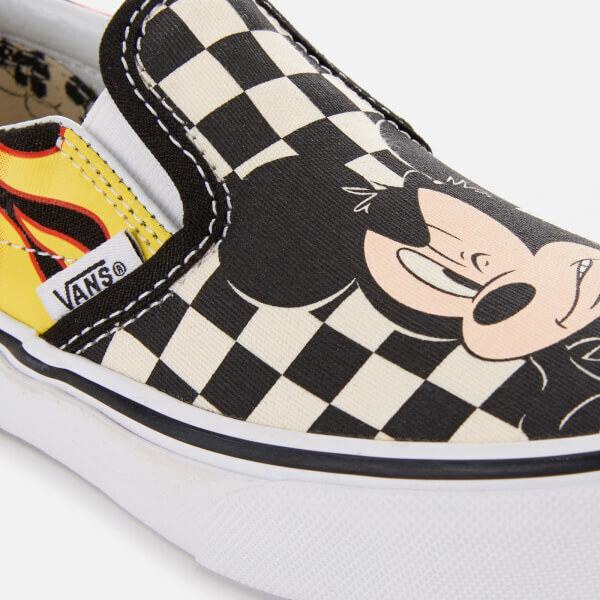 Vans has collaborated with Disney to celebrate the 90th anniversary of Mickey Mouse with a range of footwear and apparel starring the beloved character. 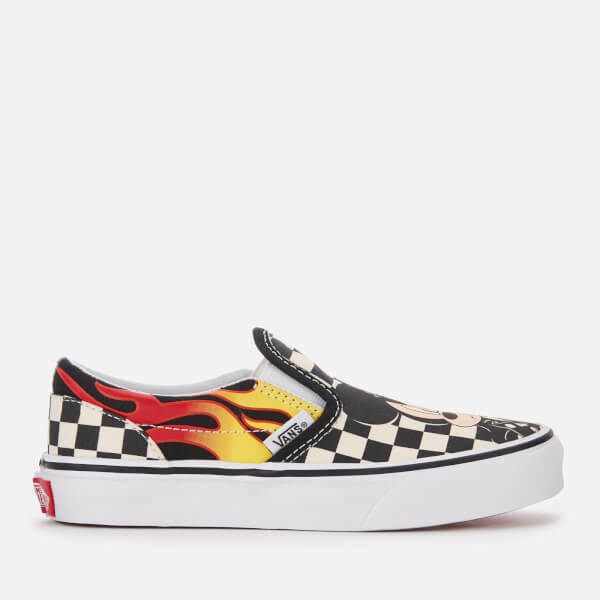 The classic checkerboard canvas slip-on sneakers have been re-imagined with a leather jacket-donning Mickey Mouse to the toe and flame detail around the heel. 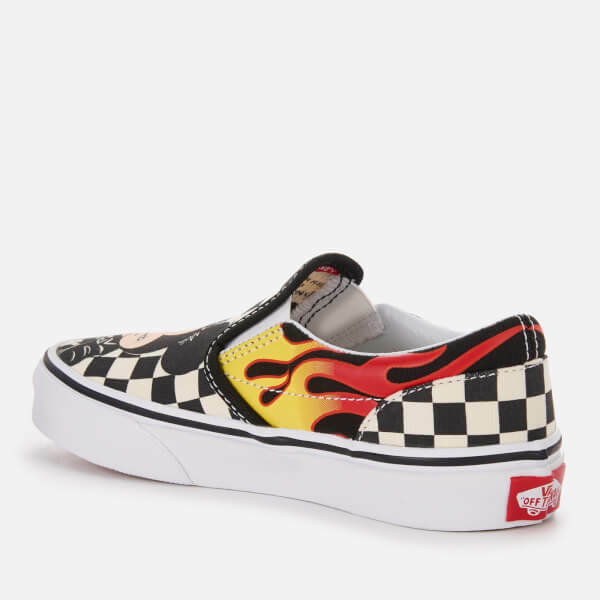 The kids' slip-on shoes sit on Vans’ signature rubber waffle outsole. 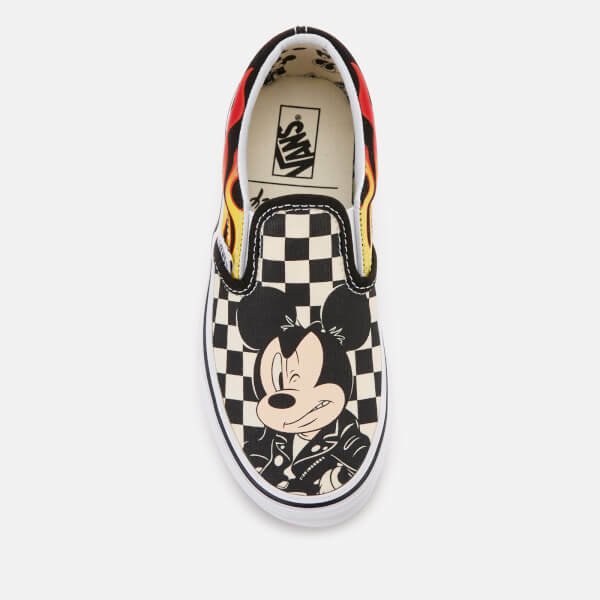 A signature logo flag on the vamp, a Vans ‘Off the Wall’ licence plate on the heel and a Minnie print lining complete the design.